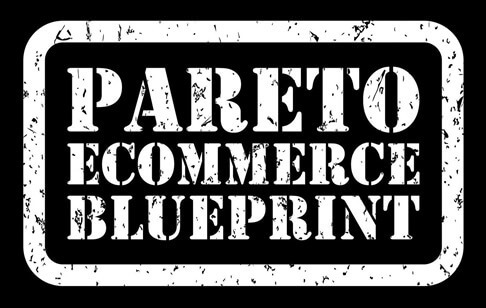 The Pareto Ecommerce Blueprint is the exact same strategy we use when working with our ecommerce consulting clients and much of the content and advice you’ll find within is not talked about online and you won’t find elsewhere. Most business owners are sitting on a goldmine of untapped opportunity and over the course of 4 weeks, I’m going to show you how you how much untapped opportunity there really is within your online store….and more importantly, how you can unlock it! There’s over 50 modules in the blueprint and it’s not unusual for a store doing 7 figures a year to see a 10-20% increase in revenue in less than 3 months with just 2 or 3 of the action steps. This product is for ecommerce business owners running established stores making at least some sales consistently. To be straight up with you, you really need do be doing at least mid 5 figures a year in revenue for this to be of use to you. Generally speaking, stores that are doing 6 or 7 figures a year will see the most benefit. If you’re just starting out in ecommerce you’ll still get some benefit but honestly, if you aren’t making consistent sales you’d be better putting your money, time and attention into Google Shopping or another paid traffic source in order to get solid rolling momentum in your business. Why share this content online? 1. Not every business wants to spend $2-5k/month on consulting and if you’re somewhat tech savvy, already have a team or have access to a developer you probably don’t need to. On my consulting checklist I have about 180 line items….most of them are not super technical to implement and are easily DIY-able once explained properly. 2. A recent ecommerce consulting client I took on was in the ecigarette game. By implementing just 3 things on the checklist (3 months of work) we added $200k of revenue to the business at the end of the 3 months. 3. While consulting can be quite lucrative for both me and our ecommerce clients, 1 on 1 consulting simply doesn’t scale….there’s only 24 hours in the day after all. With The Pareto Ecommerce Blueprint I’m giving you my ecommerce consulting checklist. I’ve broken it down into a 4 week/28 day plan, explaining what each action item is, why it works or how it works and where necessary how to implement it. Rather than have you sit through hour long videos, each module is easy to digest and implement. The modules aren’t drip fed or any of that nonsense, you get full access up front so you can move at a pace that feels comfortable for you. Who Else Wants To Dominate The Amazon Search Results For Their Chosen Keywords?